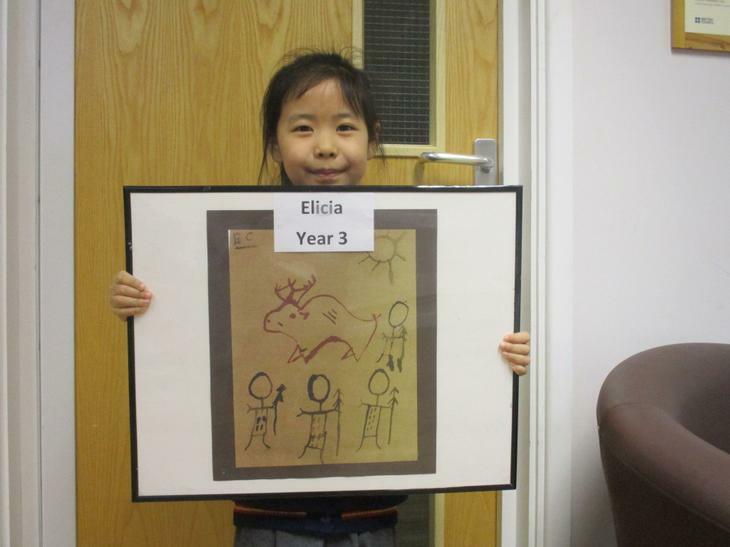 Congratulations to Elicia in St Bernadette's class, who is this month's featured artist for her amazing cave painting. Elicia made the paints using natural ingredients and used sticks and twigs to paint with, in true cave painting style. Well done, Elicia.